When you disenchant tools in the tool manipulator you unlock skins, when you place a tool in the cosmetic transmutation table in the middle slot, it will show all the skins you have unlocked for that type, click on the desired skin to re-skin your tool and grab the converted tool from the bottom slot. Hello all. hope there is someone that can help me out here. But i want too add some loot from megaloot to roguelike, and I can't seem to finde out how. Can anyone help me on how to do this? So how does the Evolution chamber work(the bottom left input box is the one im stuck on), because I don't see that on the new spotlight video? Put infused emerald in top left slot, put a weapon case in the top right slot. Infused emerald and weapon case must be same rarity. The chamber will start infusing, if there's success the weapon case will evolve from common to rare or from rare to epic in the middle bottom slot, if fail, you'll get a shard in the bottom left slot. No, because you can turn Common into Rare, and Rare into Epic, there is nothing to convert Epic in to. So for my pick it says auto-smelt off, how do i turn that on? In the Controls section of the Options you should find an Entry for "Megaloot" called "Activate effect". That is the button you use to turn it on and off. 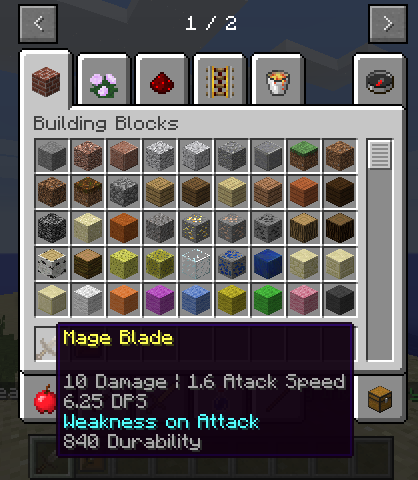 Any way to remove Abilities? my armor got Hoover and is really annoying me, or maybe a way to disable abilities in a config file for the future? When will we be able to download the version that iskall reviews in his latest spotlight? Can you make a list of each armor set within the mod? Also, I hope you keep this updated for 1.10.2? Hi, thanks for the mod - would it be possible to have the items not dropped when opening the cases please? Thanks again, really like the mod! Hello WinterGrave! I Noticed The Viking and Samurai Armors Dont Display Correctly. I understand that this is due to time limitations. I would LOVE to help develop this mod, and if you need any help, i will be available. Please PM me!